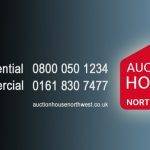 The UK’s number one property auctioneer Auction House, which has a Commercial branch – Auction House North West – in the heart of Manchester, has offered more lots so far this year than any other year up to August in the group’s ten-year history. The multi-award winning auctioneer has offered a massive 2,533 auction lots so far this year (up from 2,480 in 2016) at 125 sales around the country, with a healthy success rate of 74.9%. “These figures prove that auction properties are still in great demand and the appeal of auctions as the quickest method of sale is strengthening. Auctions have been less affected by the recent downturn than other sectors because they involve a faster process and their pricing better reflects market conditions. Auction House has also noticed an increased number of former churches and chapels entered into its auctions, many of them with planning already in place. There have been ten across the UK so far this year – in Wales, Essex, Hampshire, Bedfordshire, and Cumbria, guided at prices from £15,000 to £200,000. Another three are coming under the hammer next month in Devon and West Yorkshire – including St Paul’s Church overlooking the town of Denholme on 6 September, being offered at a guide of £80,000 to £90,000. 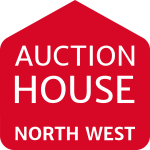 61 properties are already entered into our 7th September Auction. “The range of properties on our books is growing ever wider and the categories of buyers and sellers are diversifying too. Certainly we’re seeing more private sellers coming to us, attracted by the certainty of the auction process in a climate where chain transactions are the cause of so many problems and delays. 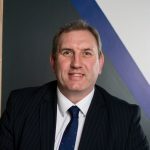 This also means that many more ready buyers, including first timers, are now purchasing at auction using mortgages or specialist finance, and often buying for owner occupation. Contact us directly, to be entered into our September Auction and receive a FREE Auction Appraisal.